U.S. Sen. Pat Toomey fields questions during a press conference on Monday, December 4, 2017 regarding the tax-reform measure which passed his legislative body several days earlier. U.S. Sen. Pat Toomey may have just quashed any doubts over whether Pennsylvania Republicans will consider impeaching five Pennsylvania Supreme Court justices over the state's redrawn congressional districts. Toomey, a Republican, said Wednesday that a conversation about impeaching justices Max Baer, David Wecht, Debra Todd, Christine Donohue and Kevin Dougherty is "inevitable." 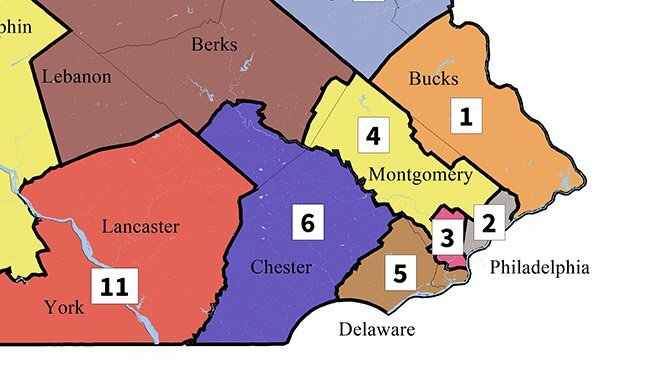 Calling the court's move to throw out and ultimately redraw the state's congressional district map a "power grab," Toomey said it was "inevitable" that the issue will be discussed in Harrisburg. "I think state House members and state senators are going to be speaking among themselves and their constituents," Toomey said in a clip shared by The Hill. "The fundamental question is, does this blatant, unconstitutional, partisan power grab that undermines our electoral process, does that rise to the level of impeachment?" 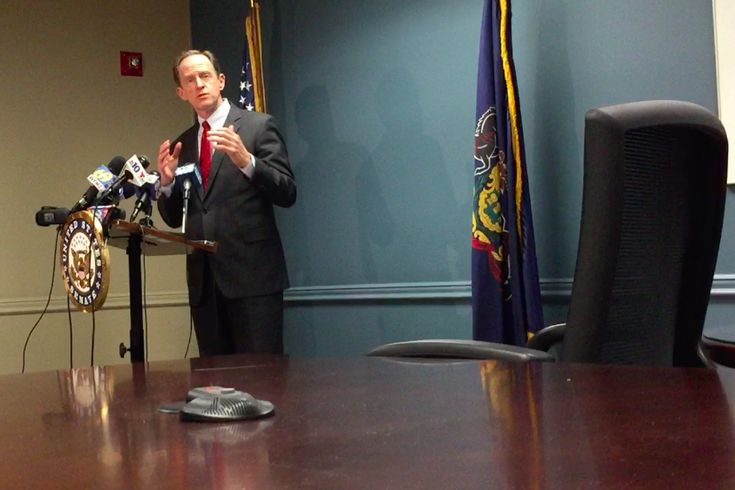 Toomey's comments to reporters during a press conference comes about two weeks after State Rep. Cris Dush circulated a memo in the House asking for co-sponsors on legislation ti impeach the five Democratic justices who swayed the court's ruling that Pennsylvania's congressional map, drawn by Republicans in 2011, was illegally gerrymandered. As New York Magazine noted, U.S. Rep. Ryan Costello joined the fray this week after the new map, unveiled on Monday, brought traditionally Democratic areas such as Reading and its suburbs into the Chester County Republican's district. A portion of the new map depicting redrawn congressional districts in Pennsylvania. The state's Republican Party vowed on Tuesday to take the case to federal court, a move that had been encouraged in a tweet from President Donald Trump earlier in the day. In a statement, Pennsylvania Republicans called the court's move to redraw the map as a "shameful display of partisanship." The court voted along party lines, 5-2, to toss out the previous map last month.